CSSD recently announced the winners of its competition for media fellows joining its project on “Religion and the Global Framing of Gender Violence.” Supported by a grant from the Henry Luce Foundation, the project brings together an international community of scholars, practitioners, journalists, and activists to study the role of religion in naming, framing, and governing gendered violence, with a focus on the Middle East and South Asia. 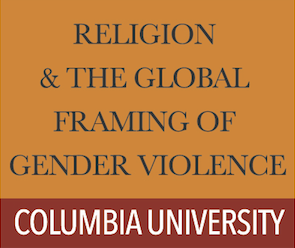 The Reporting Grants on Religion and Gender Violence provide each of the four journalists listed below with resources to research and produce innovative media stories to reframe understandings of religion and gender violence. Yasmin el Rifae is a writer, researcher and cultural producer living in New York and Cairo. El Rifae is a Middle East and North Africa research associate at the Committee to Protect Journalists. As a media fellow, she will report on the civilian groups that intervened during mob sexual attacks against women in Tahrir Square, Egypt in 2013. By focusing on a diverse set of self-organized civilian groups who acted as emergency responders, she will explore how these events have influenced the mainstream discussion of sexual violence and feminism in Egypt and abroad. Samira Shackle is a freelance British journalist, writing mainly on politics, terrorism, and gender. Shackle writes for The New Statesman, The Guardian, The Times, Vice, and many others. She will focus on gender-based violence experienced by Syrian refugee women based in Lebanon and Jordan, using detailed interviews to examine the intersection of religion, culture and structural economic factors in the abuse these women face. Shackle will report on several issues including child marriage among refugees, sexual exploitation of refugee women by employers and landlords, media representation of sexual violence, and intimate partner violence in refugee camps. Nafeesa Syeed is an award-winning multimedia journalist with a decade of full-time experience on four continents in spot news and enterprise reporting, editing and producing. She works as a national security reporter for Bloomberg News, based in Washington, D.C. As a media fellow, Syeed will focus on violence against Yemeni women in the midst of U.S. and Saudi-led war campaigns. Through interviews with Jordan- and Djibouti-based Yemeni refugees involved in UN-brokered peace talks, she will ask women to frame their experiences of violence and war while looking at how they engage in political processes.